A champion pigeon has been sold for a record €1.25m ($ 1.42m; £1.07m). “It was unreal, the feeling – it was something out of this world,” Nikolaas Gyselbrecht, the CEO of Pipa – short for “Pigeon Paradise” – told the BBC of the moment someone put down a bid of more than €1m. But Armando is no usual pigeon. The last three races of his career were the 2018 Ace Pigeon championship, the 2019 Pigeon Olympiad and the Angoulême – and he won them all. He has no shortage of admirers, either. 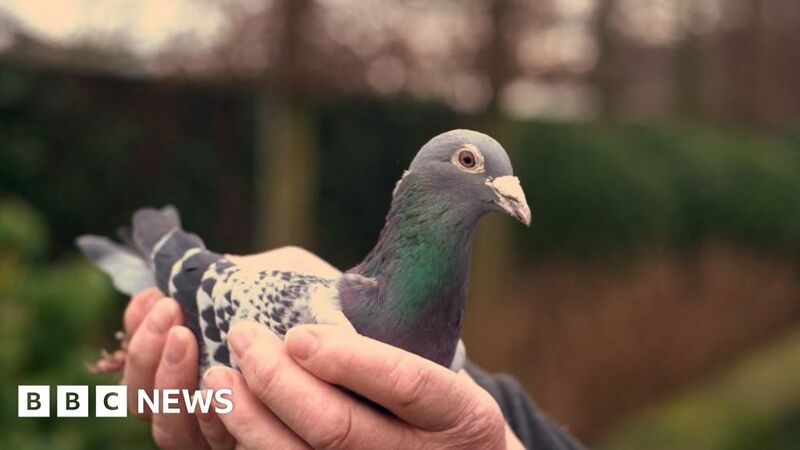 Fred Vancaillie, president of the local pigeon fancying association in Perwez, told Belgian broadcaster RTBF that he was “the Lewis Hamilton of pigeons”, adding that he was one of the best in the history of the sport. Although Armando’s racing days are behind him, Mr Gyselbrecht says that racing pigeons can carry on having chicks until they’re about 10, and live up to 20. While Armando will now settle in for a quiet life, it’s likely his new owners will breed him and race his progeny.